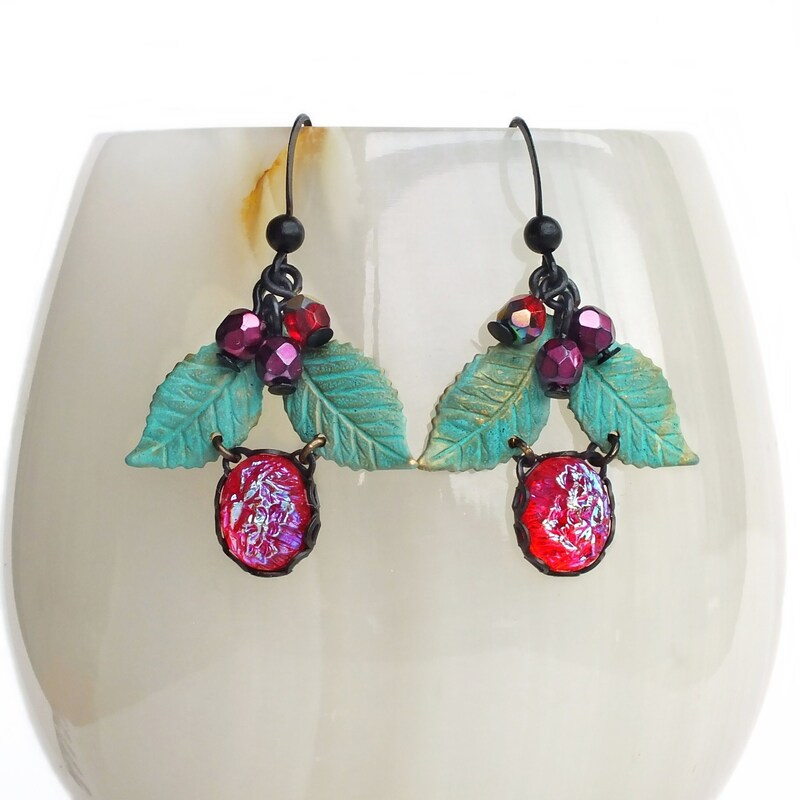 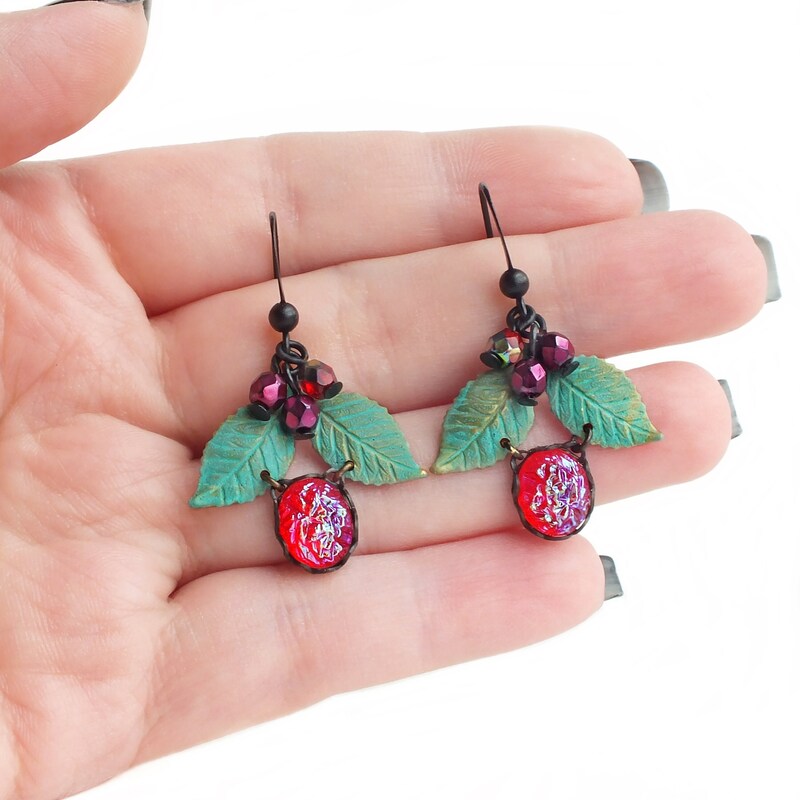 Handmade red berry earrings with iridescent red glass jewels and verdigris leaves. 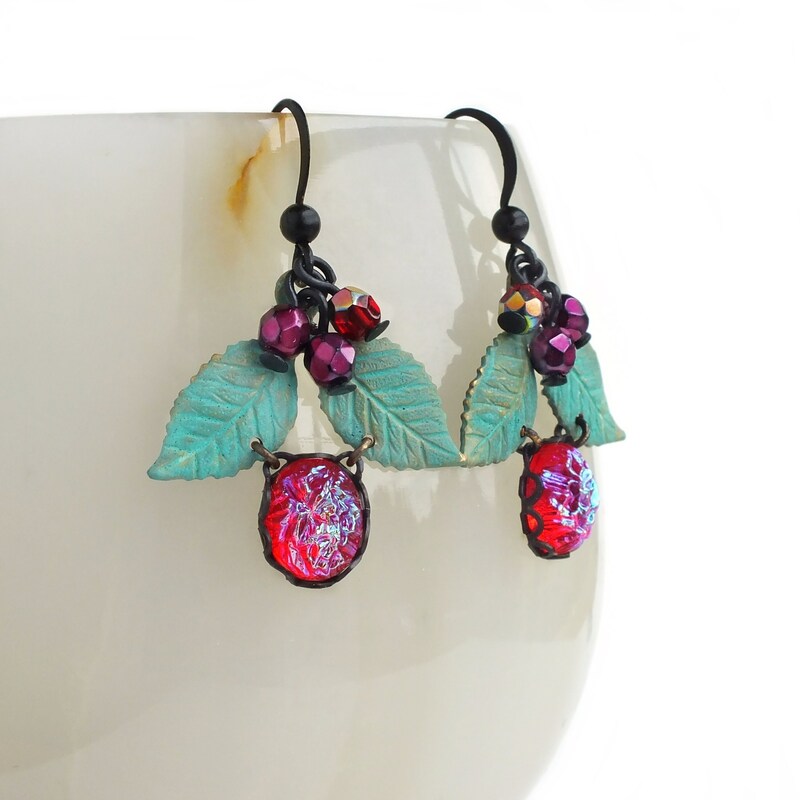 Christmas earrings made with gorgeous vintage ruby red glass cabochons with a bumpy 'sugar stone' / druzy style texture and an amazing blue/aqua iridescent coating. 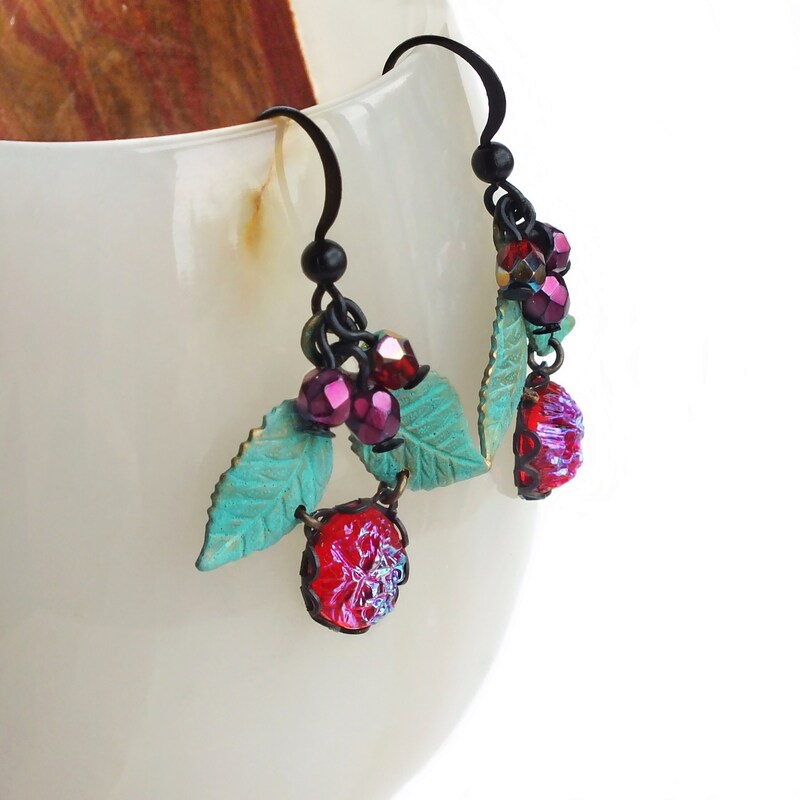 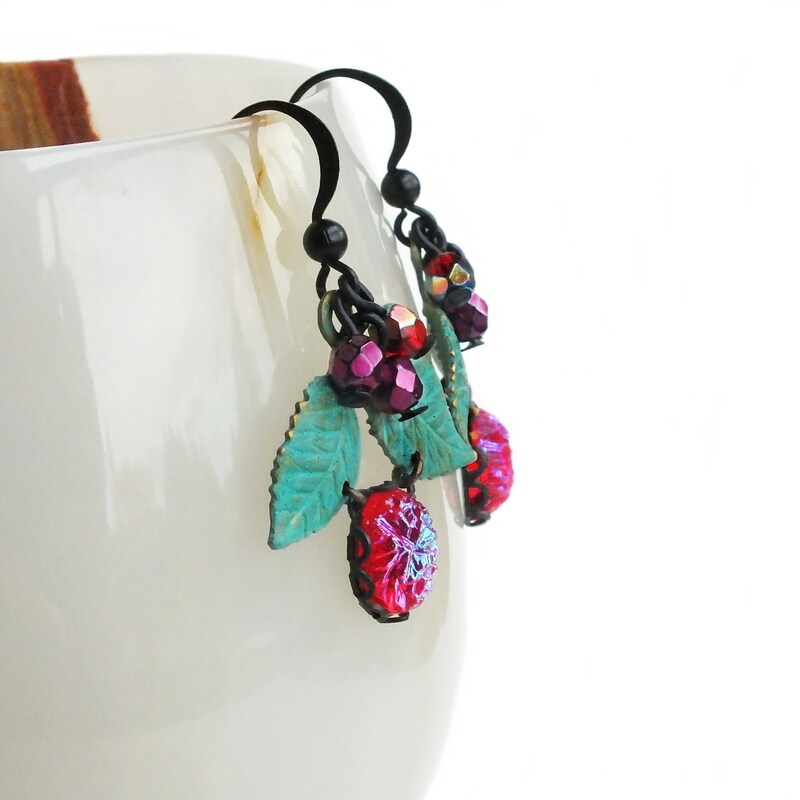 Adorned from sea foam green brass leaves with iridescent red and magenta Czech glass beads.